The black-capped chickadee, our Massachusetts state bird, has been here all winter – but using just his “chick-a-dee-dee-dee” chatter. Now he is singing his sweet “fee-bee” song as he soars into the spring job of mating. Birders pay attention to songs and calls as well as feathers and flight patterns, and The Athol Bird and Nature Club is offering a number of opportunities to learn the songs and feathers of both our resident and returning birds. Jeff Johnstone, known as a great mentor for beginning birders, will be leading the “Early Bird” sessions, meeting at the Millers River Environmental Center (100 Main St., Athol) at 7 a.m. every Sunday from April 21 to May 26. Birders carpool for these outings to a series of sites and are welcome to attend for an hour or all morning. Joseph Superchi returns with his popular “Second Tuesday” accessible birding sessions from 8-10 a.m. on May 14, June 11 July 9 and August 13, meeting at the Center before heading out to a variety of sites. Those wishing wheelchair van access can call ahead to 978-248-9491. In what has become an annual treat, expert birders Joan and Larry Duprey will on Saturday, April 27 lead an expedition to the historic Mount Auburn Cemetery in Cambridge, a famous spring hotspot for migrating songbirds. Participants should meet at the Center for carpooling at 6 a.m. or at the main gate at 7:30 a.m. (Call the Dupreys at 978-249-4964 if you’ll be meeting them at the gate.) If time allows, the group will also visit the Great Meadows National Wildlife Refuge. Participants should bring snacks or a lunch. All of these trip leaders are self-taught enthusiasts who have become experts over time. After an accident left him in a wheelchair, Superchi also started using a camera to record his experiences. 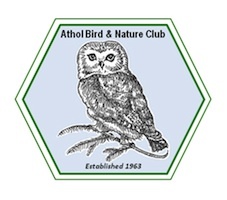 The outings are sponsored by the Athol Bird and Nature Club, an active group of people sharing an appreciation of nature’s many forms. More information about the club is available on the web at http://www.atholbirdclub.org. New members are welcome.